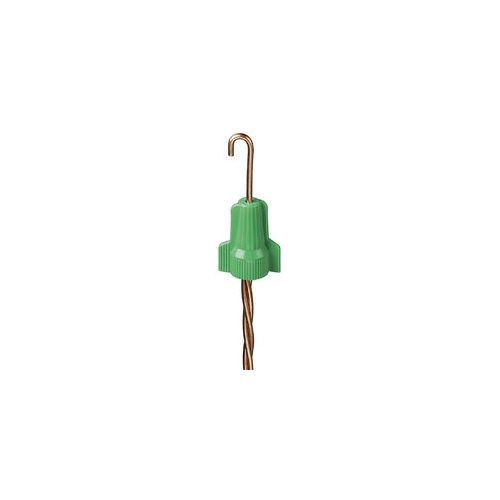 With a full line for virtually every wire size and combination, the WingTwist™ Wire Connector offers a great combination of performance and value. The contoured wing design of the WingTwist™ provides maximum torque for a variety of electrical applications while the copolymer shell and live-action spring expand for smooth, progressive tightening providing dependable connections. With a tough, flame-retardant shell that withstands environmental extremes, and a long, deep skirt to provide maximum dielectric protection to prevent flash-over and turned-back strands, the WingTwist™ Wire Connector brings comfort and performance at a price that is right. The Combination WireTwist™/WingTwist™ Kit offers one easy solution for all your twist-on wiring needs. This 620-piece kit features an assortment of all models and sizes of WireTwist™ and WingTwist™ Wire Connectors in a handy plastic storage case. Perfect for maintenance and small project applications where several different wire connectors are required.